Relax... we've got the inspection response, too. With very few exceptions homebuyers today will choose to have an inspection done on a property prior to completing their purchase. Why? Simply put, they want to know what they are getting before signing on the bottom line. 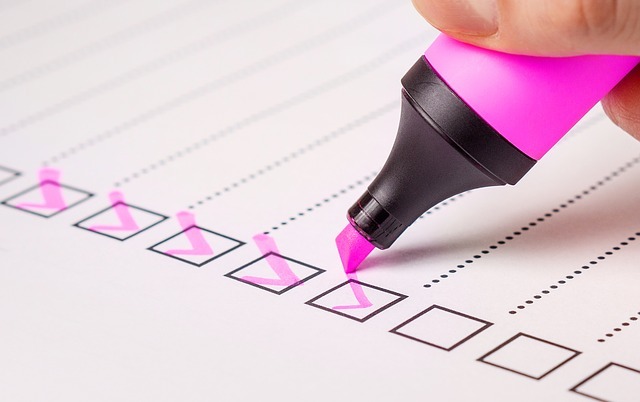 FAQ: Should I have the home inspected prior to listing it for sale? That depends on why a seller may want to do that, but we generally say, no. Save your money. 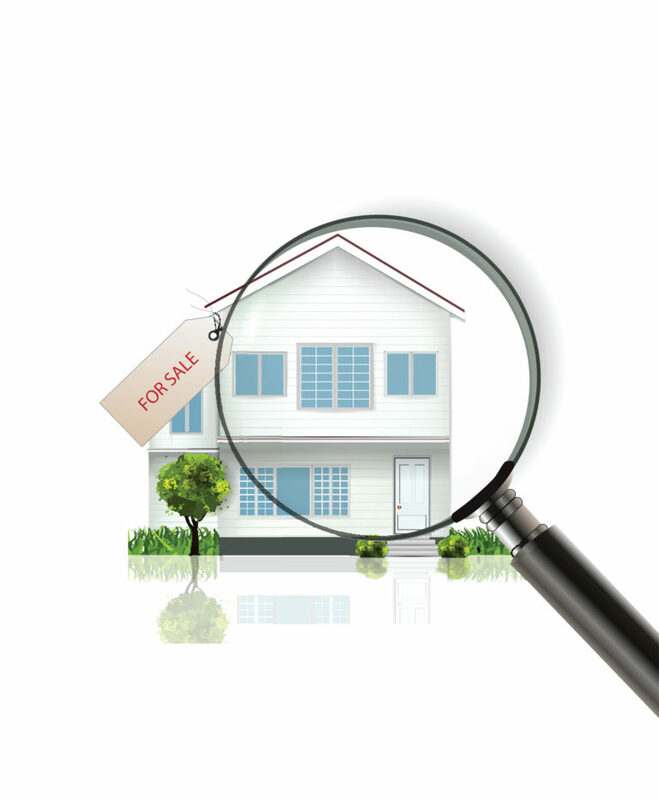 Every buyer will want to have the property inspected by their own inspector. Depending on the circumstances, the buyer may not even request some of the more minor repairs (which helps you avoid spending money needlessly). It is impossible to predict what a buyer will view as significant enough to need repair. It’s best to just wait for them to let you know. FAQ: How does the inspection get scheduled? Depending upon the complexity and size of the property, a good estimate is 2 to 4 hours. FAQ: Do I need to be out of the home during the inspection? FAQ: Will the buyers be there? Bet on it. We always recommend our buyers attend so they can not only hear and see first-hand what the inspector finds, but also to learn where important items like access panels and shut-off valves are located. FAQ: Does the home need to be “show ready” for the inspection? Not at all. Just be certain that the inspector has access to do his/her job. For instance, it is helpful to have cars out of the garage, if that is where the attic access is located. FAQ: Who pays for the inspection? The buyer is responsible for hiring and compensating their inspector. FAQ: What does the inspector look for? Contrary to what may be a popular opinion, the inspector is not out to “get” the seller or find things wrong with the property. The fact of the matter is, nothing in this world is perfect. There will always be something “wrong”. Some clients get upset over the inspection findings. (What was that inspector thinking?) Try your best not to take it personally. The inspector is hired by the buyer to point out any potential “defects” with the property prior to them closing on the purchase. FAQ: What is a “Defect”? A defect is a condition that would have a significant adverse effect on the value of the Property, that would significantly impair the health and safety of future occupants of the property, or that if not repaired, removed, or replaced would significantly shorten or adversely affect the expected normal life of the premises. How can you avoid a repair list as long as your arm?? Take a look at the “usual suspects” we listed below and consider checking on them before the inspection. Remember: The inspection process is a negotiation. Just like the purchase negotiation, it may take a few attempts before both sides are in agreement. FAQ: Will the buyer have the home re-inspected prior to closing? This is certainly an option; however, it doesn’t happen very often. Generally this is because it costs the buyer additional money to bring the inspector back again. What you can and should expect is for the buyer to do a final walk-through prior to closing. The buyer will be looking closely to see that the repairs have been completed. If everything was done correctly, there is no cause for concern. We very seldom have deal killers come up, but there are some issues that are more difficult to overcome than others. Expensive repairs are generally the ones labeled: deal-killers. There are certainly other potential “deal-killers” – We just don’t encounter them as often. FAQ: How can I try to avoid as many inspection issues as possible? Take a walk around your home and look for these “usual suspects” that we see most often. Dirty furnace: Take the front off your furnace and clean it up. Inspectors see a dirty furnace and the alarm bells start sounding! You will do yourself a favor by putting in a clean furnace filter at the same time. Dirty A/C: A/C units sit outside in the elements everyday all-day collecting dirt, leaves, and cut grass. Take a hose and clean off any debris and/or dirt that has taken residence on the unit. Dirty air vents: The cold air return gets dusty over time. Clean it. Otherwise it looks like the HVAC system is pushing dirty air around the home. Spots on the ceiling: It’s not a problem, right? It happened years ago. Then paint it. Otherwise the buyer and inspector will think it happened last weekend and think there is a current or on-going issue. Evidence of water under the sinks: Does the drain under your sink leak? If so, you will notice it directly under the drain. You might as well have the drain fixed and clean up the area where it leaked. Unresolved issues in this area call into question the dreaded mold discussion. Loose toilets: Check your toilets. Do they move or wobble? If so, tighten them (gently!) to the floor. Bathrooms venting to the attic: Bathroom fans routinely get vented directly into the attic. That puts moisture into a confined space…and again, the mold discussion comes up. Directing the bathroom vents to an exterior opening (like soffit vents) is a better option. High loop on the dishwasher drain hose: We see this one a lot! The drain hose from the dishwasher is supposed to loop up (usually under the sink) and around to prevent backflow of dirty water back into the dishwasher. Loop the hose up and around and secure it with a nail and short piece of wire or string. Conduit around the garbage disposal electrical wire (with locking nut! ): While you are under the sink – check the electrical wire coming out of your garbage disposal. Is it just a wire, or is it a wire covered by conduit (a hard metal or plastic covering)? It should not be bare wire, and while you are there….is the wire firmly attached to the garbage disposal with a locking nut (so the wire can’t shake loose)? If not, get it done….it will come up. Electrical bond to the water supply: Another one that we see a lot. Look at the water pipes above your water heater. Is there a wire connecting the two pipes? If not, there should be. Go to a Home Depot or Menards or Lowes and purchase a very inexpensive kit to bond the electrical system. You will thank me for that one. Electrical issues such as double taps in the breaker box and dead outlets: I do NOT encourage you to remove the front of your electrical breaker box and go poking around. That is dangerous. Just know that if outlets are not working you should probably contact an electrician to have them fixed. While he is there have him visually ensure that everything is in order in the breaker box. Peeling paint (particularly if the home was built prior to 1978): No one likes peeling paint. If at all possible, take care of the issue by having the area scraped and repainted. If the home was built prior to 1978 this is particularly important. Homes built prior to 1978 have the possibility of being painted with lead-based paint. If lead based paint chips are ingested (typically by small children) it can cause health issues. Very important note! If the buyer is purchasing the home with an FHA loan, the loan will not be approved until all peeling paint is removed and repainted. Chimney cap and dirty flue: The inspector will take a look at the exterior of the chimney to see if it requires repair. He will also take a look at the flue to see how much build up has collected over the years. Spalling brick: If the home has a brick exterior the inspector will look for evidence of brick spalling. This occurs when water seeps into the brick and then freezes and thaws until the brick breaks. Windows: Older windows present problems. If the window (or seal) is broken it will be identified on the inspection report. How that is resolved will be a negotiated agreement. If you have wood windows, press on the exterior wood. Is it firm? Is it soft? That is not good. Wood rot: Take a close look at wood areas of your home. Has water taken a toll on it over time? The inspector will take note of this. It usually shows up in the inspection with a note to have the wood replaced and repainted to match. Termites and other wood destroying insects: Bugs can cause a lot of damage to a home. If you suspect you have an issue have it checked out by a professional. Moisture / water in the basement: Buyers and inspectors pay particularly close attention to water, water spots, or evidence of past water events in the basement. The difficult part about basements is that they come in all varieties: Finished, partially finished, unfinished, poured concrete, cinder blocks, to wet and musty cellars… consult with your agent about possible remedies. Radon: Most often associated with homes with basements radon is a radioactive gas that seeps out of the ground naturally. It isn’t usually a problem unless it has an opportunity to collect in a confined space… like a poorly ventilated basement. The inspector will place a device in the area and test the air for several days, then report back the findings. A great real estate agent can actually save you money during the inspection process. While an agent with less experience and/or motivation could end up costing you, big. 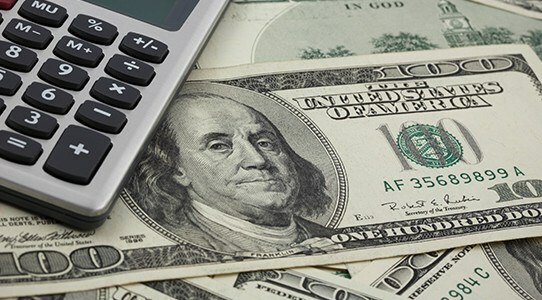 Often one of the first questions we get from a prospective home seller is: what is your rate? (Meaning, what is the rate you charge for your services?) Decisions are made instantly to use one agent over another based on the answer to that question. The quick and easy math is: if the rate for Agent A is 1% less than that of Agent B, going with Agent A saves me real money. Right?? Well… possibly. The honest truth is, not all real estate agents provide the same value to their clients. Remember the adage, you get what you pay for? The service that an agent provides is different with every single agent – and it doesn’t matter what company they represent or what their rate is. The value of a highly skilled and experienced agent is measured by far more than just rate. Providing clients with counsel on how to competitively respond to inspections is just one part of the Professional Guidance category. Obviously, we work with both sellers and buyers. Therefore, we also have extensive experience on either side of the inspection response process. Let’s have an open and honest discussion about how we have experienced some local low-rate agents when we had a buyer for their listing. Poor to No Negotiating – is that surprising? Either due to of lack of skill (I’m a new agent. I am inexperienced and can’t let this deal fall apart. ), lack of concern (Just get the inspection process over with! ), using their rate as leverage (I saved you money on rate, just do what they ask. ), or being too busy to be bothered (I’ll call you back one of these days. ), we have seen repeated examples of them doing a very poor job representing their clients. This often results in missed deadlines, sellers taking on more costly repairs, or losing the deal altogether. On behalf of our buyers, we know how to leverage these types of agents’ weaknesses against them. We have been able to get our buyers repairs and a few improvements completed at the sellers’ expense. Inspections have the potential to end up costing sellers a great deal… frequently far more than the difference in rate. So, let’s talk about the strategies and tactics we routinely utilize that net our clients the most money with the least amount of drama. Relax… we’ve got the inspection response, too. The Hoagland Group has had clients who weren’t concerned about any part of the selling process except the inspection. They worried and fretted, lost sleep, and drove themselves nuts… only to find out that the buyers didn’t even ask them to make the repairs they most dreaded. We always say relax until you see an actual, signed Buyers Inspection Response. You may be working yourself into a frazzle needlessly. The Hoagland Group will help you understand the issues found in the inspection, define specifically what the buyer has requested, and coach you through the options to reach a successful conclusion. There are several ways to respond to an inspection response. Since the inspection response comes in the middle of the purchase timeline, we understand that you are busy with coordinating your move! Therefore, we carefully listen and adapt our counsel to fit your needs; working hard to find the option that works best for you. Of course, your individual response depends on you. We rarely recommend not fixing anything. However, we can help you define if the requests are normal, a clever way to get an improvement, or simply unreasonable. A great real estate agent knows and explains the difference between a “repair” and an “improvement”. A pet peeve of ours is when a Buyers Inspection Response requests an improvement… not the repair of a defect. A repair is fixing something that isn’t working. The furnace is older. We want you to replace it. The roof is stained. We want it replaced. The inspection process isn’t an opportunity for a buyer to hold a seller hostage. It’s an opportunity to repair things that affect the value of the home. 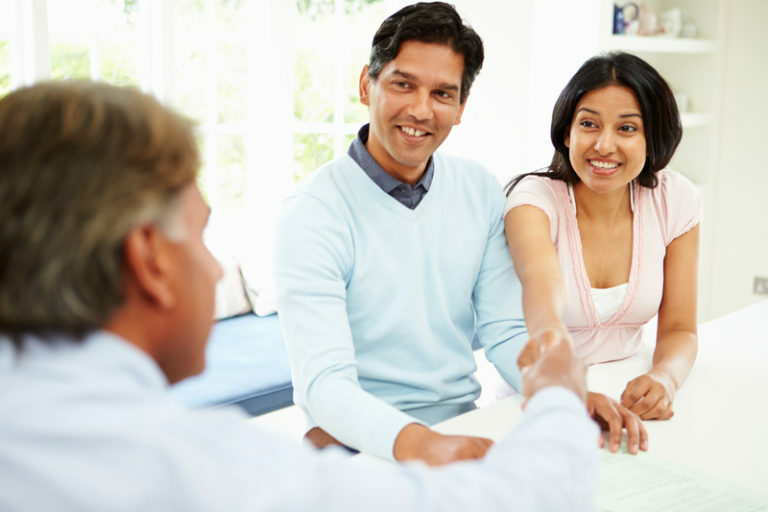 Your highly-skilled and experienced agent will help you navigate through this minefield. We can even provide the names and contact information of contractors referred by our past clients that may be helpful.